Kristal Allen is a partner with MLT Aikins LLP, and former senior legal counsel and chief privacy officer to a large public company with operations around the globe. Kristal’s practice centers on technology and privacy law, with specific focus on the development and management of information and intellectual property assets and new technology. 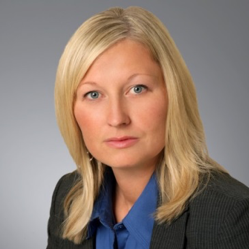 In her practice, Kristal draws upon her significant industry experience to provide practical legal advice regarding cybersecurity and privacy compliance, and provides extensive knowledge of risk management and policy development related to data sharing, electronic documents, information assets, information security and privacy. She has advised an array of both private and public sector organizations regarding health, employee and customer information privacy and security matters. Randy Brunet is a partner with MLT Aikins LLP. His practice focuses on technology issues and projects, cybersecurity law, privacy, and outsourcing. Randy has worked with various organizations on privacy law interpretation, impact assessments and compliance plans, and the implementation of privacy procedures required by provincial and federal privacy laws.